263 years in the making! This may go down as the GREATEST collaboration in history! The co-presentation you've always wanted! 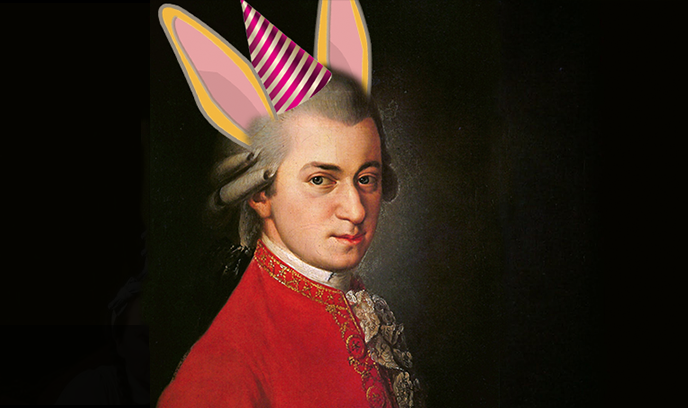 One Yellow Rabbit joins forces with the legendary Calgary Philharmonic Orchestra to bring you Mozart's Birthday Party. This two-night special event will celebrate Mozart, #HPRodeo style! Sharing a birthday with the legend is CPO conductor Rune Bergmann who will lead the CPO in a joyful celebration of the great composer whose music shines with balanced purity, perfection, and delightful humour.